The approach of the government towards the National Registry of Citizens is faulty and ineffective. It will make life even more difficult for people who do not have the means to prove their identities. A draft of the National Registry of Citizens (NRC) in Assam was published on 30th July this year. Reportedly, of approximately 3.29 crore applicants, the draft NRC list has excluded about 40 lakhs. Exclusion, in this context, implies that the NRC commissioners were not satisfied that these persons were citizens of India, or had arrived in India before the 1971 cut-off date, or had “legacy claims.” This means that they were the children or grandchildren of persons who were citizens or had entered India before the cut-off date. If these persons are unable to substantiate their claims before the list is finalised, their cases will be referred to the Foreigners’ Tribunals, which will determine what — if any — rights they may enjoy on Indian soil. As of 2017, these Tribunals had declared approximately 19,600 people to be illegal aliens. Thousands of such “foreigners” are currently detained in repurposed jails, and a new facility that can hold up to 3000 people is reportedly to be constructed in Goalpara. Most of the persons currently detained were designated as “D-voters” (the ‘D’ signifies ‘disputed’) in the 1997 revision of Assam electoral rolls. The Foreigners’ Tribunals have no mandate to determine where an alien entered India from; even if they did, an Indian administrative or judicial body could never have the jurisdiction to confer citizenship of any other country on any person. In theory, someone who is declared a foreigner by the Tribunals could then claim citizenship of some other country, assuming they had — for instance — a passport issued by that country. In practice, this is vastly unlikely, not least because a lack of sufficient documentation is a large part of why they were determined to be illegal aliens. To be deemed a foreigner is thus, in effect, to be made stateless. Since the current international human rights regime ultimately depends on a state’s willingness to guarantee and enforce the rights of its citizens, a person with no state to appeal to is placed in a uniquely vulnerable status — technically, they are not deprived of their rights, but there is no forum where they can claim a remedy for such deprivation. The prospect of being deemed a foreigner is thus a source of considerable anxiety for many in Assam. The government has been at pains to emphasize that the current NRC list is still a draft, and that there are procedures in place to correct omissions and errors. It is hard to predict the exact number that will be found to be “non-citizens” (and hence referred to the Foreigners’ Tribunals) by the end of the year, when the government’s deadline for completing the NRC process elapses. That said, we have every reason to believe that this number will be inaccurate. The identification or sorting of ambiguous information can be modeled using Signal Detection Theory. When one is exposed to a mix of signal (true information) and noise (everything else) and asked to judge which of these categories a particular instance falls into, four outcomes are possible: correctly identifying/including signal (“hit”), incorrectly identifying noise as signal (“false positive”), incorrectly identifying signal as noise (“miss”), or correctly identifying/excluding noise. In the context of the NRC, a hit is placing an Indian citizen on the list, and correct exclusion is leaving a non-citizen off the list. A miss is leaving a citizen off the list; a false positive is when a non-citizen makes it on to the list. The key insight from signal detection theory is that a 100% accuracy rate is impossible. By adjusting where one places the threshold, one can either improve hit rate (at the cost of more false positives), or improve correct exclusions (at the cost of making more misses). If one has reasonably accurate information on the base rate i.e. on the proportion of true and false cases in the population — then one can devise a reasonably scientific basis for setting this threshold. Where one lacks such a priori statistical knowledge, however, then the choice of threshold becomes a pure expression of the priorities of decision-makers. Another way to say this: the decision of where to set the threshold reflects which kind of error — incorrect inclusion, or incorrect exclusion – carries greater political costs. Given the history of the NRC in Assam, it seems reasonable to conclude that the threshold will be set very high: the goal is to maximise correct rejections, even at the cost of a higher miss rate, because the political cost of such misses is deemed to be tolerable, but the cost of too many false positives — letting in ‘outsiders’ who should be left off the list – is unacceptable. Certainly, the language that some political leaders have already adopted, describing illegal entrants as ‘infiltrators’ – a word that implies sinister motives – makes clear their political priorities. The question then becomes one of process i.e. how is a high threshold to be achieved? It took 18 years for Lal Bihari to finally have the government acknowledge that he was not, in fact, dead. In that time, he learned of many others in a similar predicament, and gathered them to form the Uttar Pradesh Mritak Sangh — a “League of the Dead” — which he estimates has about 2000 members. Part of the reason for their travails is sheer corruption, since the officials they have to approach are often the very persons who have taken bribes to falsify the record in the first place. A second problem, however, is that they lack alternate documentary evidence of their identity — their legal existence. If it is this difficult to find a record that can corroborate the self-evident claim that a person is alive, how much harder then to prove citizenship or descent? The historical reality of India is that a largely illiterate or ill-informed populace has interacted with an administration that lacks reach or capacity (to say nothing of integrity) to create an incomplete and inconsistent set of records. Many families and even entire communities may go through much of their lives without feeling the lack of these documents. In Assam, as NRC State Coordinator Prateek Hajela has explained, the NRC provided a list of 15 documents that could be used to establish that one has either entered the country before the 1966 cut-off date, or voted in an election prior to 1971, or that one was the child (or grandchild, etc.) of someone who had done so. They combined a review of such documents with tracing family trees and making field visits, to verify claims of descent and residence. The process appears extensive and meticulous; however, many who currently reside in Assam stumble at the first hurdle – they are unable to provide practically any of the documents the NRC has requested. Passports are a rarity; birth certificates and school leaving certificates may never have been created, or may have been lost thereafter; property records are unreliable, especially given the unique geography of the Brahmaputra, where entire settlements disappear as the chars — large sandbanks — they are built on are submerged or eroded away. Women are particularly hard-pressed in this regard. Reportedly, as many as 29 lakh women were able to provide only one document — a letter from village authorities certifying that they are their fathers’ daughters. As that article notes, they did not complete or even enrol in school; were married before they were 18 (and hence lack a marriage certificate); never held property or bank accounts; and never voted in their parental villages, if at all. The village they were born or grew up in may already have been washed away. The communities they live in know whose kin they are, but there is no document to prove this; in all other respects, their legal personhood is entirely dependent on their husbands. Those who have found themselves excluded from the NRC list and have been asked to re-apply are unsure what good that will do; they have already submitted all the evidence they had, and don’t see how providing the same documents again will achieve a different outcome. A re-submission of documents will lead to a different outcome only in two scenarios: one, where the exclusion was a procedural error in the first place; two, if the NRC process were to adopt a different standard. A fairly common approach in any form of administrative review is to require at least two sources of evidence — one as primary basis of a claim (e.g. of being related to someone on the “legacy” NRC / electoral rolls), and at least one other that can corroborate this claim. If the NRC keeps to this standard, the women described above — among others — will continue to be excluded. Similarly, if there happens to be some contradictory evidence — for instance, a birth certificate where one parent’s name is different from the name noted in the family tree that the NRC has drawn up — one would typically seek a third source of information to resolve such differences. How is a person who struggled to provide one or two documents supposed to respond to such additional queries? The point is not that either of these standards are unreasonable per se. On the contrary, they are widely accepted as standard. They are, however, virtually guaranteed to produce a high rejection rate when used in the current circumstances. The story of Lal Bihari and the Mritak Sangh vividly illustrates the gap between prescribed standards and reality when it comes to official documentation, and should serve as a cautionary tale against relying heavily on such records in making as consequential a decision as disenfranchising citizens or rendering them stateless. This is even more the case because the Citizenship Act, as amended in 2003, provides that a person can be a citizen of India only if they are born to at least one Indian parent and the other parent is not an illegal immigrant at the time of their birth; in other words, a decision on the citizenship status of a person who entered India after 1966 can change the status of their children and grandchildren as well. Consider the counterfactual: a government that was more preoccupied with increasing the hit rate and was willing to absorb a number of false positives to achieve this might approach this process in an almost diametrically opposite fashion. Rather than seeking documentation from persons so as to establish proof of citizenship or legacy claims, it would start from the presumption that every person was a citizen, and only seek further information, documents, etc. in cases where it could find affirmative proof that calls this presumption into question; lack of documentation, in itself, would not be considered proof of anything. The total number of persons left off the list would fall dramatically – some of those might still be inaccurately excluded, but they would almost certainly be fewer than have been missed under the current system. Now consider that the counterfactual is, in fact, the process followed with respect to the vast majority of Indians — pretty much all of us, really, as long as we live somewhere other than Assam. In the ordinary course of events, it is only when registering to vote or seeking to travel outside the borders of India that one is asked to prove one’s citizenship. Many in India live their entire lives without doing either, and hence without ever being called upon to substantiate their claim to Indian citizenship or ancestry. The fact that residents of one state are being asked to do this raises very difficult questions of Constitutional law and equality under Article 14 of the Constitution. To be sure, the Right to Equality (and the related protection against discrimination, under Art. 15) is not absolute. The State has the authority to classify persons into different categories, and to treat different categories unequally, provided the classification is done on the basis of clearly identified, real and substantial criteria – the technical term is “intelligible differentia” – which have some reasonable relationship to a legitimate policy objective. This doctrine has generally been interpreted to mean that a law which makes an arbitrary or unreasonable distinction between persons is unconstitutional; earlier this month, in the Navtej Singh Johar case, the Supreme Court ruled that a classification cannot be constitutional if the objective it seeks to achieve is itself unconstitutional – such an action would be “manifestly arbitrary“. It is worth noting that Article 14 speaks of “persons”, not “citizens” — one does not have to be a citizen to enjoy due process. While there can be no doubt that ensuring the sanctity of elections by preventing non-citizens from voting is a legitimate policy objective, it is less clear why this is a concern solely in Assam. The classification that is made by the NRC — not only in its operation, but by the very fact that it applies only in one state — is colourable. The Union of India did enter into an agreement to update the NRC and clean the electoral rolls in Assam, but if the result is an unconstitutional classification, then the agreement is void from the outset, because it could never be in the power of the State to sign an agreement that violates the Constitution. It would be premature to say more at this point, because the balance of these imperatives is already in consideration by the Supreme Court, which is monitoring the NRC process. Indeed, the present progress in updating the NRC has been sparked by an order of the Supreme Court. The issue of illegal immigration does not lend itself to easy solutions, even when the act of border-crossing relates to the recent past or imminent future; it is infinitely more complex when – as with the cases the NRC must determine — the original immigration occurred 40 or even 50 years ago. Ultimately, the maintenance and enforcement of borders — both physical and legal — is integral to the very idea of a sovereign state, in as much as it is defined by the exercise of exclusive control over a defined territory and defined population. At the same time, mobility has been a feature of human civilisation since prehistory, far preceding modern state boundaries; movement across various borders continues to be a lived reality for millions even today, irrespective of legality. We would be better advised to seek a humanitarian and equitable solution rather than a narrow, legalistic outcome. 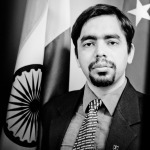 Ameya Naik is an Associate Fellow for Geostrategy at the Takshashila Institution, focusing on Indian foreign policy and international law, and a graduate of The Fletcher School of Law and Diplomacy. The views expressed here are personal.